Last week, I wrote a two parter about The Namesake, by Jhumpa Lahiri, and “The Overcoat,” by Nikolai Gogol. Reading Gogol’s short story was, I felt, absolutely necessary to understanding the novel. Since then, I’ve been thinking about the idea of books in dialogue with each other even though they were published more than 100 years apart. Thinking chronologically, it’s impossible for it to be a dialogue. The Namesake can respond to “The Overcoat,” but “The Overcoat” can’t talk back to The Namesake. Apparently this dialogue could take place in my head. (It’s a weird place.) Reading “The Overcoat” really did help certain parts of The Namesake, which remained more than a little opaque to me after I finished it. If I had gone back and reread The Namesake, I’m sure that I would have ended up with new thoughts about “The Overcoat.” If I hadn’t read these books together, I would have ended up with a book I didn’t fully understand and a very bleak story that made me chuckle before it punched me in the gut. The books would have been silent when they could have been talking to each other. My little epiphany about the way that my brain turned into a literary time machine reminded me of one of my firm beliefs about books: they’re not alive unless they’re being read. Without a reader to host the characters and the ideas presented in stories, a book is just ink, wood pulp, and a bit of cardboard—or just pixels on a screen, if you prefer ereaders. Bouncing stories off of each other to see the sparks is another amazing thing we can do in our bookish brains. 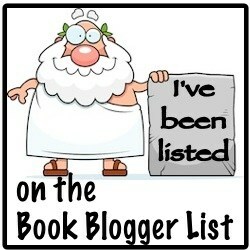 If you’re interested in more bookish dialogues, see my Bookish Sommelier posts. They don’t travel as far in time as Lahiri and Gogol do, but they have very interesting things to say if you get them in the room together. Over a year ago, I read Shirley Jackson’s delightfully creepy The Haunting of Hill House. Being a reader in the year of the deity of your choice 2017, I interpreted Jackson’s references to a character’s roommate as hints that the character might be a lesbian with a partner—even though the book was originally published in 1959. Since I’m not a very big believer in analyzing literature solely in terms of what the author intended, this interpretation wasn’t really a problem for me. I haven’t been a follower of authorial intent for a long time. Not since I learned that Ray Bradbury declared that everyone was misinterpreting Fahrenheit 451. All that said, sometimes I will read something that makes me wonder if my circa 2019 eyes make me see things that don’t exist. Two days ago, as I worked my way through John Steinbeck’s East of Eden, one of the episodes in the book made me sit up sharply and shout a short expletive. Was it possible that Steinbeck had written a transgender character in Chapter 23? Here I am, on page 277 of my edition*, and a young child asks their uncle, “Uncle Tom, how do you get to be a boy?” Then, they continue, “I don’t want to be a girl, Uncle Tom. I want to be a boy.” A little later in the chapter, this character’s story is closed with the brief line, “she never really trusted [Uncle Tom] until after she was glad she was a girl” (p. 297). This line would seem to put paid to my theory. My response is a) the other characters are very dismissive of this child, b) the narrator is too busy relating two massive family sagas to pay much attention to his sibling’s psychology, and c) this book is about whether nature or nurture is more important, so why not include a character who doesn’t feel right with their body? But how could Steinbeck have written a transgender character in 1952? It’s only recently that the term transgender has become the preferred term for individuals who identify with a gender other than the one they were assigned at birth. Also, judging by the frequent, casual misogyny in East of Eden (so many women’ descriptions include the size of their breasts) and the repressive attitudes of the 1950s, I doubt that Steinbeck intended the scene with the young child and their uncle as anything other than a comic interlude. Even though my knowledge of the time and of Steinbeck argues against this reading, I can’t help but read the scene as a brief and very unexpected appearance of a child who may be transgender. Social attitudes notwithstanding, there were transgender people in the 1950s. 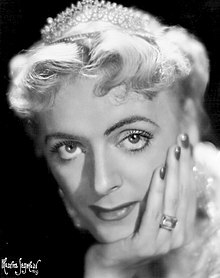 Christine Jorgensen began her gender confirmation surgeries in 1951. Common sense argues that there have always been transgender people, whether they were out or not. It’s also absolutely possible for an author to put something in a book that is interpreted differently by readers than they planned. Ask Ray Bradbury. To use Fahrenheit 451 as a case in point, it’s entirely possible for readers to come up with an interpretation that is more useful and feels more “correct” than what the author intended. I much prefer to give this young character the dignity of listening to their question, instead of brushing it aside and making a joke as their relatives do in the scene. I prefer to think of this character as another example of how change can be a matter of will, that we are not stuck with how we are born if we feel the need to change. Readers, what do you think about chucking out authorial intent? Have you run across “anachronisms” like this in your reading? Paperback centennial edition from Penguin Books. Since it’s currently impossible to avoid reading about—and therefore thinking about—Marie Kondo and readers’ reactions to getting rid of books, I’m weighing in. But I’m going to do it in unranked bullet points because my thoughts about this are definitely not tidy. Only 30 books! Are you serious?!? …Everyone’s number is clearly different. People who don’t read that often don’t need that many books in their home. …Also, there are libraries. You can totally get away with not buying books. But authors definitely need to be paid more. Also, don’t just dump your KonMari’ed books off at the library. We probably can’t use them either. There are other options. Getting rid of books is curiously hard. I’m not sure what it is. It might be our cultural aversion to book burning and we don’t want to be seen as destroying books by discarding them. Who knows, but a lot of us share a deep dislike of throwing away a book. Book hoarding is totally a thing, though. If you have piles of books around the house and can only make your way around your house via goat trails, it’s a hoard. But I plan going to read all of those! …but there are some I probably won’t read because my reading tastes have changed. There are days when I review my to-read list and ask myself what the hell I was thinking when I put some book on it. Looking at a list of books I ambitiously decided to read does occasionally spark guilt or weariness rather than excitement or joy. At least my books are on shelves and in alphabetical order. It doesn’t look like a hoard. Also I weed. I accidentally rebought a book I already owned, so maybe I’m not as tidy as I thought. Oops. A lot of readers get antsy when we don’t have enough reading material around us. In desperation we (okay, I) will read shampoo labels. People need to stop giving Marie Kondo a hard time. All of the criticism I’ve seen of her is based on either misinterpreting her recommendations or over attachment to things. People who advocate ignoring recommendations to declutter and get rid of books that we’re not going to read/use/etc. are also off target. Like I mentioned above, reading tastes change. Why hang on to a books we aren’t going to read or didn’t like when it’s taking up the place of another books we might love? What thoughts do you have about Marie Kondo and your books? It wasn’t so long ago that I received the flurry of best of the year book lists that appeared every December with a sense of panic. List after list would leave me wondering if I had wasted the previous year reading weird books no one else wanted to read. (This also happens when someone wins a book award and I’ve never heard of them before.) But, after a few years of being a librarian and seeing just how many hundreds (thousands) of books are published ever year, I realized that something had to give. I still think there’s value in having common reading experiences. And I definitely believe that we need to challenge ourselves to read widely and deeply. But any reader has to learn that it’s just not possible to read everything that everyone else is reading. There’s too much and we have jobs, families, significant others, exercise regimes, pets, friends, that pesky need to get our heads on a pillow regularly, etc., etc. At times, a best of year list can seem like an assigned reading list. Pushing ourselves to read books we don’t like (no matter how many critics adore them) or just have no interested in (oh my god, enough with the pseudo-science alternative medicine already!). For any reader who sees the best of year lists and panics, I say: step back, take a breath, and think about the books you enjoyed during the previous twelve months. If there’s overlap, cheer yourself on for having great taste! If not, cheer yourself on anyway because you are blazing new trails and reading books that need a wider audience. Most importantly, if you’re not reading what everyone else is reading and you’re having fun with what you’re reading, remember that you are doing this reading thing right. Reading is supposed to be something we enjoy, not a chore. And if anyone asks if you’ve read this year’s books and you haven’t, well, just say: “No, but I did read X and I loved it!” Instead of falling prey to FOMO, give yourself the gift of swapping recommendations with another reader.